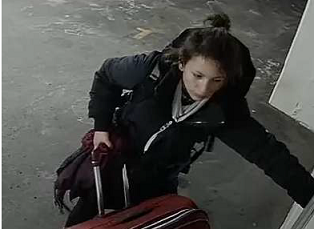 The Ottawa Police Service Central Break and Enter Unit and Crime Stoppers are seeking the public’s assistance in identifying one suspect involved in a break and enter on Columbus Ave.
On the 12th of January 2019, a break and enter occurred at a building on Columbus Avenue. Once inside, a male and female suspect targeted the residents storage lockers stealing a variety of property. Please see photos below provided by investigators.